In Albania, 314 houses have been destroyed as torrential rain causes severe flooding across the country. The army sent thousands of soldiers on overnight missions to evacuate hundreds of people cut off by the rising waters. One person is reported to have died, and a further three have been injured. Several rivers are at risk of overflowing in the Gjirokastra, Fier and Vlora districts to the south of the country, where the government is advising that the situation could get worse. Many roads have been blocked, with even the main route into the capital, Tirana, only partially cleared. Schools have been closed. There are no prospects of leaving either: flights to and from Albania's only international airport have been suspended and ports are paralysed. An estimated 127,000 households are without power. Fortunately early warnings enabled many people to lead their livestock to shelter in time, and to move their belongings to upper floors. 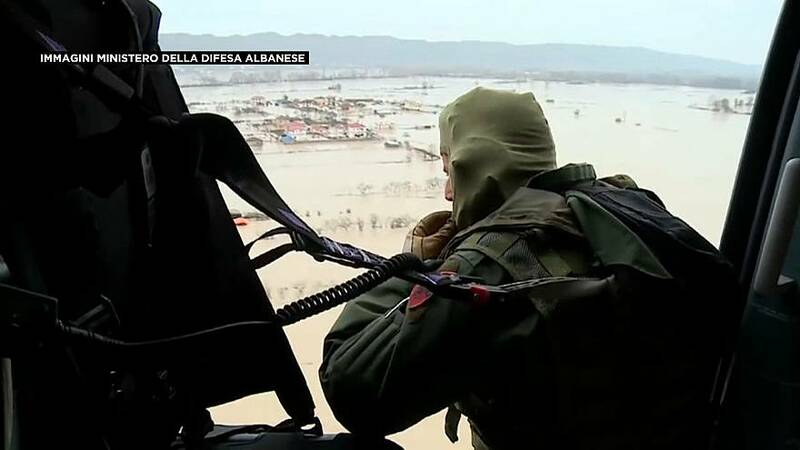 Albania is no stranger to winter floods, though the scale of the problem this year has taken many by surprise. Within the region, Turkey and Montenegro have been quick to offer assistance to their stricken neighbour.